Why is this picture linked to Dracula? 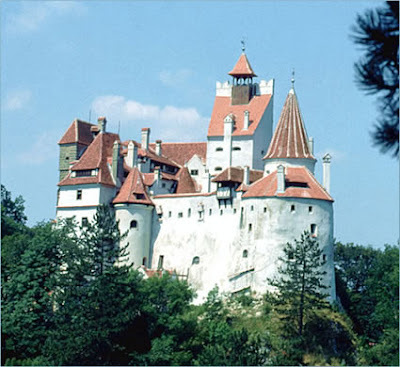 It should be linked to Queen Maria of Romania or the Teutonic Knights, they were the people who lived and built this castle. Yet it is remembered for one thing. I'll give you one reason Bram Stoker and the Germans. Vlad Tepes isn't viewed in such a dark manner in Eastern Europe, in fact the Russian and Romanian writing of the time shed a different light on the subject, he was someone who was fair and loyal to his people, and expected that back from them. I love your blog. Such great photos and fun info. I'm a Follower!